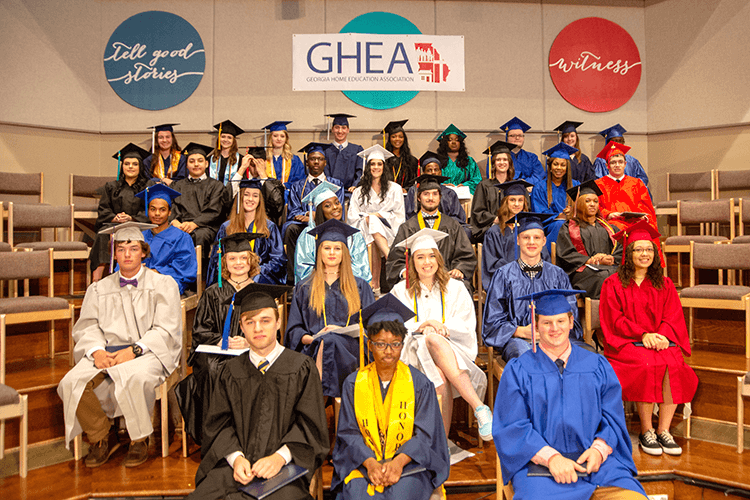 GHEA offers an annual High School Graduate Recognition Ceremony for the members of our organization. This is a great opportunity to commemorate the completion of your homeschool journey in a formal way. The graduation ceremony typically occurs in May or June and information packets with application typically become available in January. Due to the extra expense associated with this event, a graduation participation fee does apply. Because facility space is limited, we are able to accommodate only a limited number of graduates on a first-come, first-served basis. More information can be obtained by emailing graduation@ghea.org.